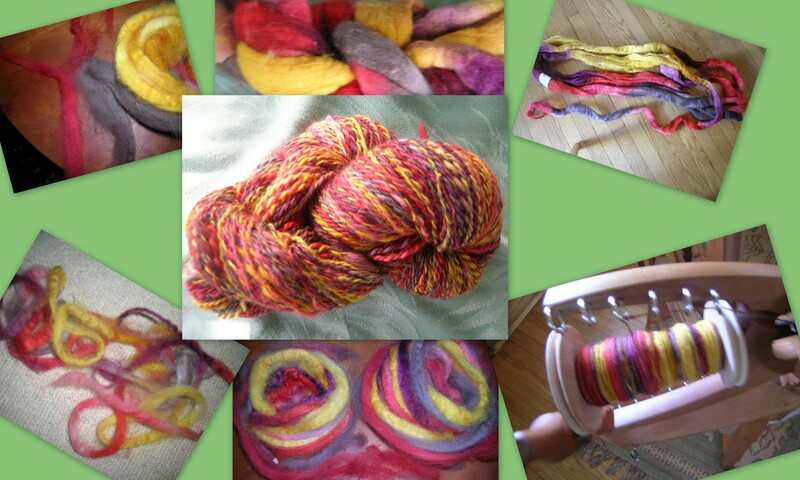 I finished spinning the Blue Moon Fiber Arts Roving. I love the jewel tones of the finished yarn, and the variegation that you can only get with hand-spun. This is 100% blue-faced Leicester wool, a very old and historic English breed. These sheep were once imported by George Washington and Thomas Jefferson. I loved the long staples, and the beautiful curls that show up. I learned a lot from spinning this yarn. While it is definitely still a work in progress, this is yarn that I am really anxious to knit with. My consistency was much better, but I had some moments of relapse. Reviews were mixed on the book, some loving it, and others saying that all of the yarn looked alike. I am in the middle. There is a lot of good information, but I think that her photographs could have been larger, and the yarn does look the same in many photographs. Some of the variations that she is trying to show do not come across in the small photographs, it might be something better seen in person. The one hint that she did give was that for dyed rovings, which tend to stick together due to the process, should be split into 16th’ s. That seemed like a lot to me, but I tried it, and it worked, great pencil rovings that were easier to draft from and spin, and the color repeats were much shorter. The roving was very stiff, but with the pencil strips, it was like down. the book also talks extensively about dying yarn, which I am not ready for at the moment. 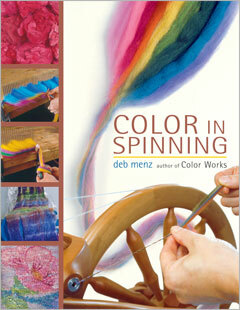 There is also great information on color theory (I have plenty of design books on that, so just passed it by), techniques on dying wool and roving, color combining with a drum carder, and spinning hints and information on plying. I do think that I will put this on my wish list. I also learned the importance of oiling my spinning wheel, having a firm surface underneath, and patience. If I took my time, I could get the finer singles. I just need to learn to quit whenever it starts to become a struggle. Wow, Frances! That is really pretty! It’s funny how the finished skein has almost orange tones, which you don’t see in the roving at all. Anyway, a hat is almost done with this skein: https://knittingbeforeknittingwascool.wordpress.com/2010/10/06/whatever-yarn/ I will post it to rav tomorrow.